TalKi forums down for over 12 hrs, nobody for their support responding! I'm sorry you're having a problem with your Tal.ki forum - it sounds very frustrating. 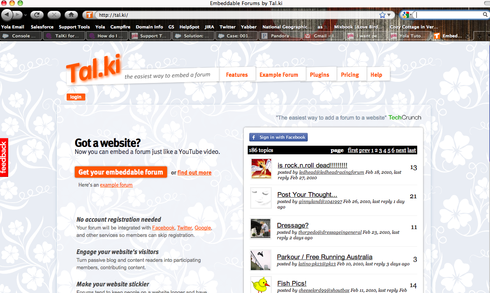 Tal.ki is a third-party widget service, supported by Tal.ki. I'm sorry you have not had a response from them, but this type of error is something they need to assist you with as it seems to be occurring on their side. The best suggestion I can offer is to log into your Tal.ki account and post a private discussion with the Tal.ki support team to see whether they can provide you with more feedback. Thanks for the advice, unfortunately their main website is down as well. It's actually looking like they may have gone out of business, or something a little larger than just technical difficulties. Usually with things like server issues they post a broadcast message that they're aware of the issue and are working on it. According to a few others in the support forum this has been going on for over 24 hours, it just happened that I didn't have an author Event yesterday and didn't notice that the Forums were down. You guys didn't receive notice that they would no longer be online to support their widgets going forward? I am pretty confident Tal.ki has not shut down, and am happy to assure you that I can open their website without hesitation. If you are still unable to open their site, please try clearing your cache. I am hopeful you will be able to use Tal.ki again soon! 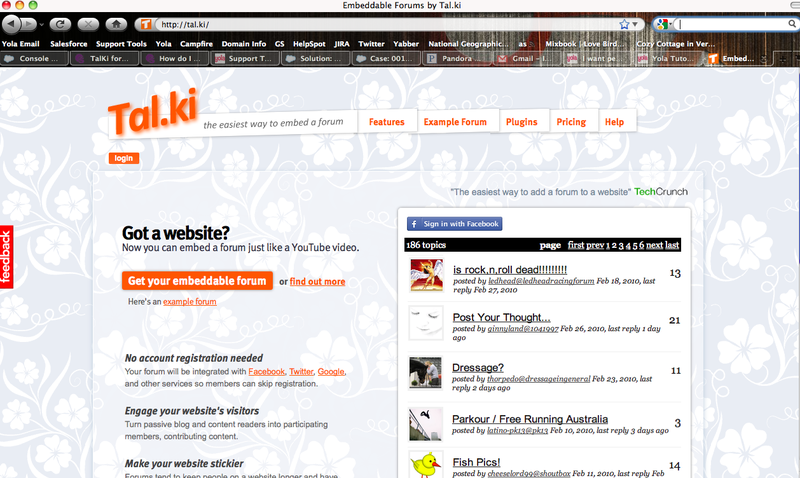 Im now having issues with tal.ki is there site down? Our forums are also down and we cannot access their site. I also see their website is not responding but I was unable to locate any announcement indicating that they had officially closed down. That said, we removed them from our Sitebuilder about a year ago because of their lack of customer support for members having problems. I think it's a safe bet that they are no longer in business. I'm sorry I don't have better news for you regarding this. Tal.ki site is down. Did they go out of business?.